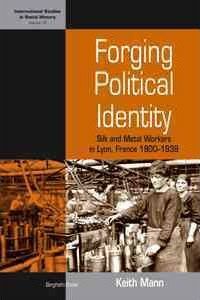 Escaping the traditional focus on Paris, the author examines the divergent political identities of two occupational groups in Lyon, metal and silk workers, who, despite having lived and worked in the same city, developed different patterns of political practices and bore distinct political identities. This book also examines in detail the way that gender relations influenced industrial change, skill, and political identity. Combining empirical data collected in French archives with social science theory and methods, this study argues that political identities were shaped by the intersection of the prevailing political climate with the social relations surrounding work in specific industrial settings. Keith Mann is Associate Professor of Sociology at Cardinal Stritch University in Milwaukee, Wisconsin. He received his PhD in sociology and historical studies from the New School for Social Research and specializes in 19th- and 20th-century French social and labor history. His work has appeared in the International Review of Social History, International Labor and Working Class History, Labor History, and Le movement social.